Colds and flu: what’s the difference? Influenza is a more dangerous infection than the common cold. More than 200,000 Americans are hospitalized each year because of complications related to the flu virus. While most people recover from the flu without any difficulty, you should contact your doctor if your symptoms last longer than 10 days, if you have a high fever (more than 103 degrees Fahrenheit) that lasts for more than 3 days, or if you have difficulty breathing, experience vomiting, or have abdominal pain. Can I prevent myself from getting a cold or the flu? Vaccines: Colds are caused by many different families of viruses and we have not yet found a way to vaccinate people against such a diverse group of common cold viruses. However, we’ve developed vaccines against influenza viruses, and every year scientists customize the vaccine to the specific subtypes of flu virus that are likely to be the most common that season. The best way to prevent a case of the flu is to get your yearly flu shot (it’s ideal to get your shot in October or November). Most individuals(over the age of six months)are eligible for a flu shot, with rare exceptions for those who are allergic to eggs, or who have certain medical conditions. Hand washing and hygiene: Cold and flu viruses are spread through contact with body secretions from infected people. Sneeze/cough droplets, mucus, and saliva (containing live viruses) may be invisible to the eye, but can live on hands, countertops, door knobs, glassware and silverware for as long as 48 hours! For this reason, it’s important to wash your hands thoroughly after every possible exposure to viruses (15 seconds of washing with warm, soapy water is best) and clean counter tops and surfaces that may have been exposed to human droplets. Products that contain chlorine (bleach), hydrogen peroxide, detergents or soaps, iodine-based antiseptics, and alcohols are the most effective germ-killers. Avoiding contact and preventing virus spread: While it’s not always possible to avoid contact with those who are sick, if you know you have the flu, you should try to stay away from work or school while you are most infectious. Generally, that means that you should stay home if you have a fever and for at least 24 hours after you’re fever-free. Be sure to cover your mouth with the crook of your arm or with a handkerchief when you cough or sneeze, and wash your hands (or use sanitizing gel) immediately afterwards. What are the best treatments for colds and flu? Pain medicines: Pain medicines containing active ingredients such as ibuprofen and acetaminophen can reduce fevers, body, and head aches associated with the flu. Cough medicines: Cough suppressants are helpful if your cough is keeping you awake at night, or if your chest and belly are becoming uncomfortably sore from coughing. Dextromethorphan is the most common OTC active ingredient in cough medicines. There are additional cough suppressants (that may include codeine, for example) that are available by prescription only. Mucus thinners: Sometimes cold and flu viruses trigger the body to produce a large amount of thick mucus. If you feel that you are having trouble coughing out the mucus because it is too thick, medications with the active ingredient guaifenesincan is helpful. Decongestants: If your nose is stuffed and making it difficult for you to breathe, decongestants can help to reduce the swelling of membranes in your nose. When the membranes shrink, the mucus output is reduced and an individual is able to breathe through the nose better. Pseudoephedrine and phenylephrine are the two most common active ingredients in OTC decongestants. There are also nasal decongestant sprays available, and they should not be used for more than 3 days at a time. You should note that OTC cold and flu remedies often contain combinations of pain medicines, cough medicines, mucus thinners, and decongestants. While this may provide extra convenience (you may only need to take one combination pill instead of multiple different ones for the same effect) it’s really important for you to avoid taking too high a dose of any of the active ingredients. Please look at the Drug Facts label [insert link to drug facts label article] of every medicine before you take it. It’s possible that there’s overlap in the active ingredients of your preferred cold and flu medicines. Please note that young children under the age of 4 years should not be given certain cold and flu medicines. Please check with your pediatrician before giving any medicine to young children and babies. How can I best prepare for cold and flu season? Identify loved ones who are at special risk for flu infections (because they’re younger than 2 months old, older than 65, pregnant, have a lung disease, or weakened immune system) and have their doctor’s phone number on hand in case they come down with flu symptoms. Call their doctor immediately once the symptoms begin. Anti-viral medications may be appropriate but must be started within 48 hours of symptom onset to be effective. If you come down with a cold or the flu, make sure you wash your hands frequently, cover your mouth when you cough or sneeze, and keep common surfaces disinfected. If you have a fever, limit your contact with others as much as you can until 24 hours after the fever has gone. Q: Why is it recommended to cough or sneeze into the crook of your arm rather than your hand? 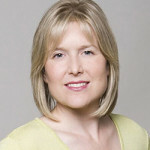 Dr. Val Jones is an award-winning author and blogger, a regular guest on ABC News, and CEO of Better Health. She also sees patients part time at DocTalker Family Medicine in Vienna, V.A.